Being sold together with parcel number 50-01884. See Commercial listing #3924690. 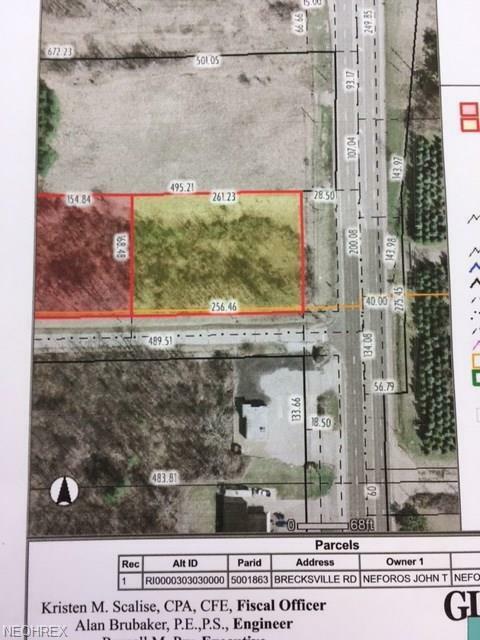 Village of Richfield information, these two properties are zoned C-2 general business. Non-conforming lot ordinances may apply to these lots for building purposes with Village of Richfield. Please confirm with Village 330-659-9201. Fence on Brecksville Road does not belong to owner of these two lots. Two lots need to be sold together and parcel numbers combined to one parcel number per Village of Richfield for conformity. See supplements attached in MLS. Driveway would be on Brushwood.